As part of its drive to provide the best range of hire products to its customers, Black Light has recently invested in the latest Robe moving head light fittings. The Robe Robin Pointe and the Robin MMX Blade complement the company’s existing Robe stock and makes Black Light the obvious choice for anyone interested in this well-respected range. “Here at Black Light we’ve always been great fans of Robe’s products due to their high quality and exceptional performance,” says the company’s events and hires manager, Calder Sibbald. Black Light has chosen the Robe Robin Pointe because of its flexibility and performance. “It is a cross purpose light that will meet a wide range of lighting needs, including Beam, Spot, Wash and FX, and is a great beam light for events and music shows,” says Sibbald. 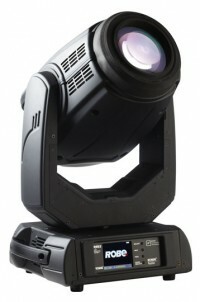 The Robin Pointe provides a very bright, sharp parallel beam that cuts through the air and across video with ease. It can be used with a range of filters and will project a static or rotating glass gobo to produce precision in-air and surface images with an even focal plane. The Robin MMX Blade uses the MMX discharge fixture, which can give an output comparable to 1200W luminaries. It also adds a framing shutter system into the optical path. The MMX Blade includes many other innovative features including the Robe exclusive hot spot lamp control feature that allows remote adjustment of flat beam uniformity or power beam hot spot. The Robe Robin Pointe and the Robin MMX Blade are just some of the Robe products that Black Light’s hire department carries. 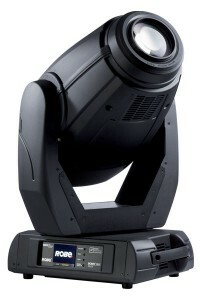 Others include the Robe 600 LED Wash and the Robe 100 LED Beam.